When we started our business in 1981, good quality prints and posters had only just started to become widely available. The first poster and print catalogues from what was to become market-leading art publishers like Bruce McGaw Graphics contained barely more than a dozen pages. What you would have found in The Poster Gallery, our first shop was a fairly small range. Over the next two decades, the quantity of reproduction art grew enormously. Catalogues grew to hundreds of pages, containing thousands of images. At the time this art was generally produced by a process known as offset printing, where copies of an image had to be printed in large quantities to make the printing process economically viable. When the process of digital printing entered the market, it brought with it the ability to reproduce art at just one copy at a time- this was the start of print on demand (POD). After this achievement, the fast transmission of digital art files over the internet made it possible to print images in-store. Before POD, the choice of printing mediums was generally paper. With digital printing, this expanded to other media such as canvas, acrylic, and metal to name a few. The past methods of printing normally offered only one or maybe two sizes of any given print; POD offers custom sizes ranging from small to large on wide format printers. These sizes can now be customised to pretty much any size of your choosing. Another advantage of print on demand is the relatively fast delivery time. Past methods relied upon publisher’s warehouse inventories, importer’s time frames and freight logistics. POD printing with its digital storage, internet delivery and in-house printing can ensure virtually immediate printing of an image. An additional achievement of POD is the spectacular quality of the printed artwork. Unlike old printing methods which produced varied qualities depending upon the publisher, today’s printers create beautifully subtle and vivid images. You will now find some websites displaying over a million images. They can become overwhelming and time-consuming to plough through. 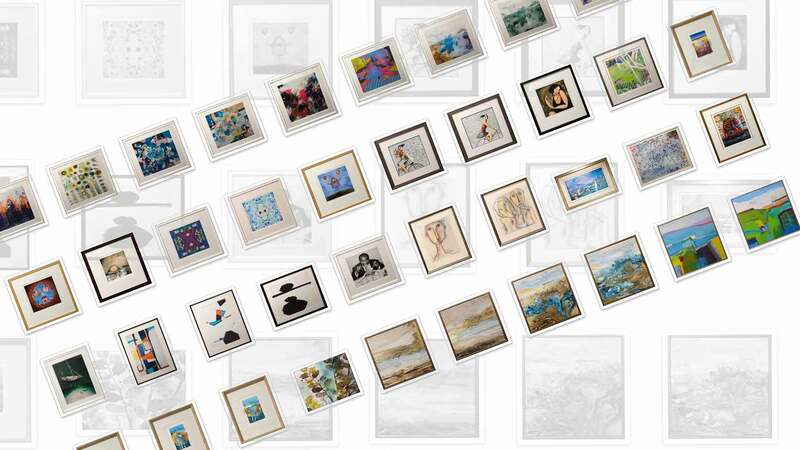 There is an easier way to find artwork without rummaging around online for hours. We believe the answer can be found in shops offering access to a library of curated quality images. Shops where you search with someone who has the knowledge to guide you through the maze of choices. Someone who will take into account not only your taste in artwork but how the selected art will relate to your environment. These factors lead to finding not only your ideal image but one that is printed at the appropriate size and on the relevant medium. The POD solution to finding your artwork combines the ease and efficiency of today’s internet with the latest printing technology. The complete POD experience we believe can only be provided in-store with one of our friendly and knowledgeable staff.